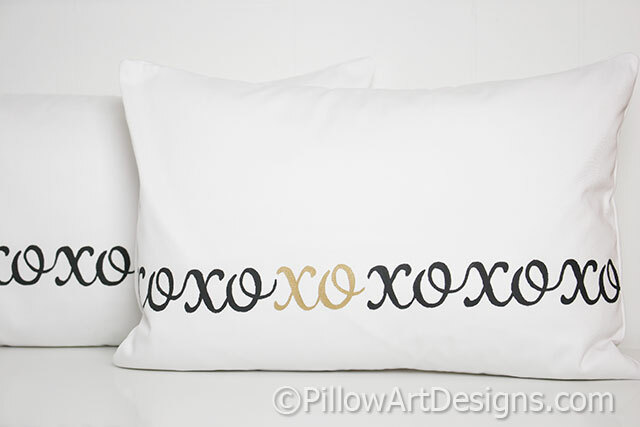 A set of two lumbar pillow covers with XO's design running across the front of the cover. 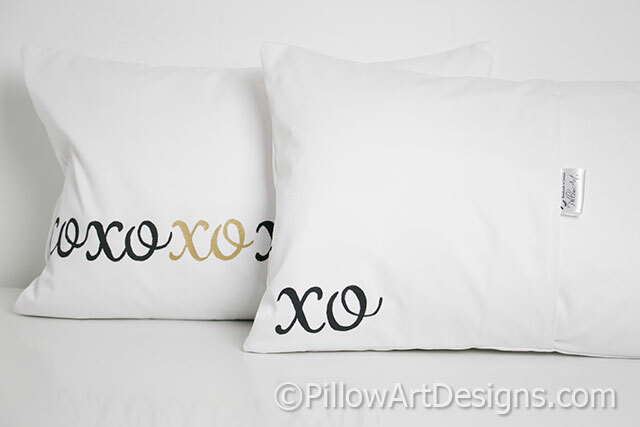 XO's are painted in black with one set painted in metallic gold, and one set of XO's on the back bottom left corner of the covers. 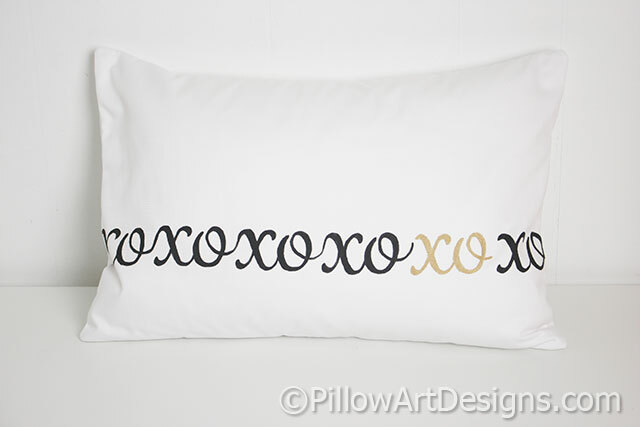 Covers are made to fit inserts sized 12 inches X 18 inches (inserts not included). 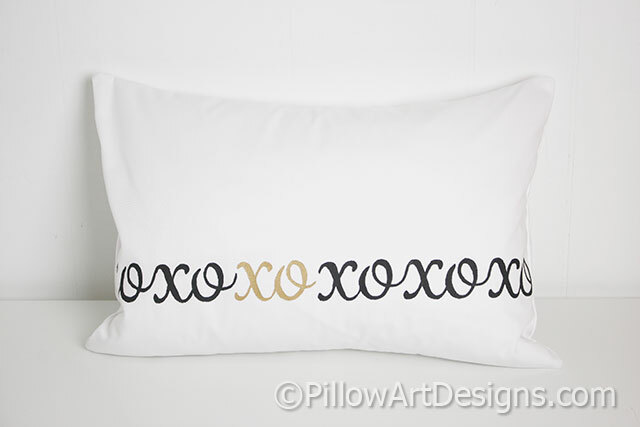 XO's painted with non toxic fabric paint, will not wash off, flake or rub off. For the very best results, spot clean or hand wash in cold water and lay flat to dry.